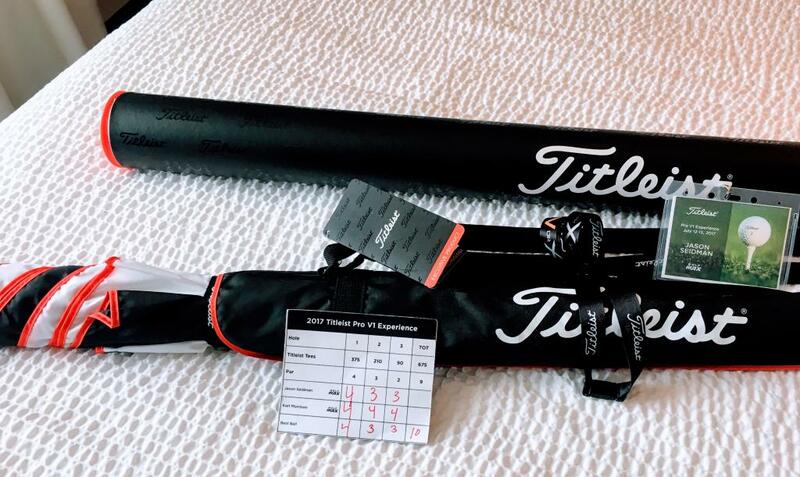 Discussion RECAP: Titleist ProV1 Experience Thread, July 12-13. Behind the scenes at Titleist Headquarters! 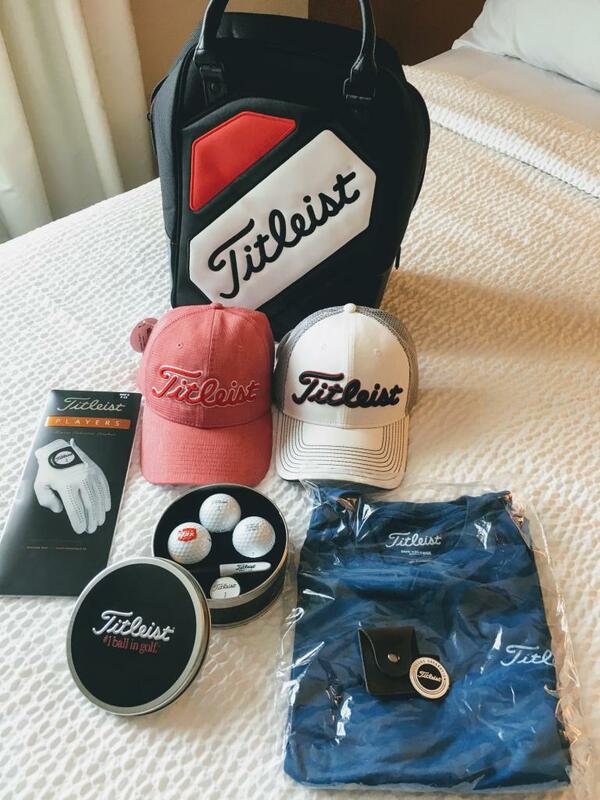 RECAP: Titleist ProV1 Experience Thread, July 12-13. Behind the scenes at Titleist Headquarters! Guys, I plan to post a 2nd review re-capping day 2 and an overall experience of the trip (It was a little more eventful for myself than some others, which I'll get into lol) but I was wondering if anyone reading this had any specific questions regarding our time there. I'd be happy to try and answer any of them as part off my re-cap, just post here or send me a message and I'll do my best to answer when I write up my final post. what was the most surprising thing of the trip? the way the ball is made, the science behind it? maybe something you thought you knew but didn't? I was thinking how great a trip we all had with Titleist Pro V1 Experience and how to express it all to the WRX community. I don't think I will be able to remember everything, but here goes... First off many thanks go out to ROB (aka HipCheck) for putting this trip together, but he had a little help thanks to Eric and Veronica who were with us every step of the way. The entire staff at Titleist make us all feel welcome and we all felt they couldn't wait to tell us their story. Being in sales as a profession, I know the importance of relationships and product confidence. They all are the reason Titleist is the #1 ball in golf. I'm not going to drink the cool aide and you shouldn't either, but listen to their story and I'll let you make that choice. Night 1: I met Rob and Rob (Broth518) in the lobby and we headed out for a few pops and a bite. We later met up with Ryan (Ryail00) and Karl (Karl M), we all had a nice, but quick night, a little tired from the travel and anticipation of what was to come the next two days. there..LOL. On the travel coach and off to the ball plant. Quick tour of the lobby and 30 minute history lesson and agenda review. Then our tour with the people who create the magic. We all saw the machines, samples, raw materials and met the engineers. There were 3 walls of patents and they were a year behind in posting. They all had a story of what makes Titleist the #1 ball in the game. All the people I met that day wanted to answer all of our questions and show us a great time, ( we did). 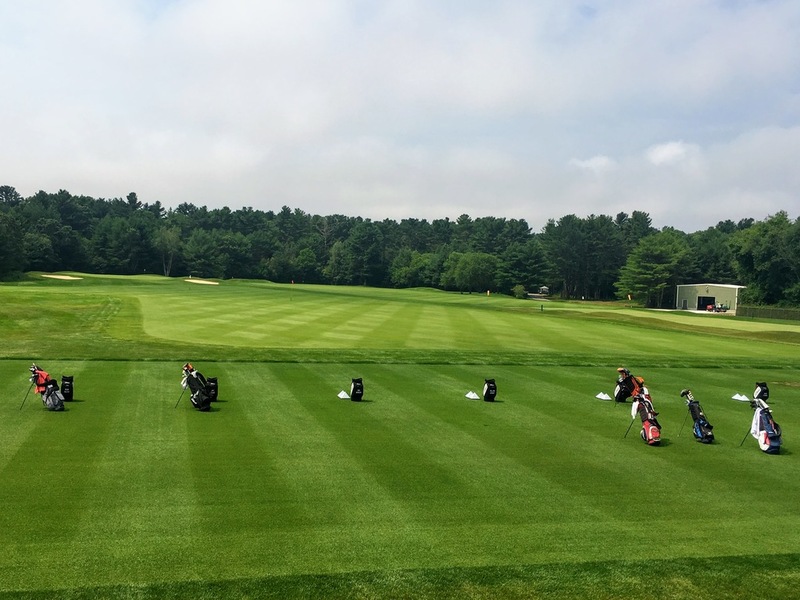 Now off to hit a few shots at Manchester Lane Test Facility in Acushnet, MA. This was a blast, they flew in the east cost ball fitting team for the experience. 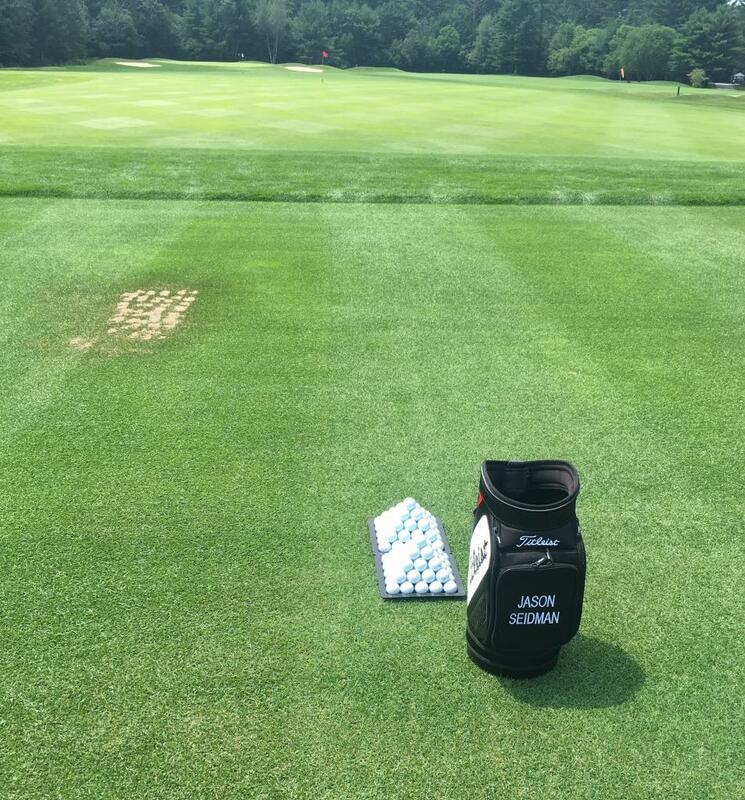 They had a short game area where you could hit 90 -100 wedge shots, bunker shots and pitches from some of the nastiest northeast rough I've ever seen. Oh I forgot they had a trackman set up for us to view distance and spin..How cool that was. Then it was off to the actual ball fitting experience with a fitter and trackman. They asked us to hit a few 50 yard wedges, 7 irons and a few drivers. After I buried a few wedges into the ground and started laughing, I did get a couple of shots into the air. This was a Geeks heaven!!! We then got to order some personalized balls from the custom department, but more of that later. We had a little 3 hole competition in teams of 2. I don't think any of us have been that uncomfortable on a golf course in a long time. Everyone hit good drives off that first tee. I smoked mine ( for me) and then saw my partner Mike (swgolf12) smoke it 40 past me.....Oh to be young again..Great drive Mike...we had a great time and congrats to Jason (longballjs) and Karl (Karl M) on their win...Good job guys. It was hot and muggy so a little break inside to watch a little demonstration with Iron Byron and some golf balls with dimple defects. We got to experience how a ball reacts with no dimples, half dimples and how an average PGA pro launches their drive. Back to the hotel to clean up and off to the Black Whale (? name) for a great dinner with new friends and a lot of banter about the day. As you can see we had a great day and one more to come. I'll post day 2 later and some pics from the trip. so you are saying every other ball in the world is the same, except for titleist? they just have different names on the cover? No just the samples that were there. We were told that there are a total of 25 world wide that are sold under different names, but are the same. The engineer was only able to purchase 17 at this time. Not every ball is the same, but this was an example of what some distributors are doing. Hope this helps. No not at all. There are some balls -- these are with much market share, most in Asia market -- that have different brand markings, but are actually the same underneath. Not "top secret". You just need to cut the ball in half and you'll see they're exactly the same. It's pretty crazy to see. The tours of the R & D facility, the outdoor testing facility, the customization facility and manufacturing plant were all encompassing. We saw every step of the process from the mixing of raw materials to the final packaging. For me, the most fascinating part of the tour was the very detailed comparisons between Titleist and other manufacturers balls. I was stunned by what we were told and the details that we were shown. All golfers would find the information quite fascinating, but because we agreed, not to disclose the details of what we were told or what we saw, I won't go into details. I've toured a silicone manufacturing plant that mixes chemicals and materials in much the same way as Titleist does. The silicone plant was pretty filthy even after being cleaned up just for the open house tours. All of the Titleist facilities are amazingly clean. The shipping dock / warehouse area is the only area that wasn't just as clean if not cleaner than my office complex. The most common adjective that we heard from the people leading our tours and doing our fittings was the word QUALITY. There are quality control checks at every step of the manufacturing process. It was abundantly clear that money was no object when it came to quality control and testing. Any company in any type of business would be envious of the culture that is shared by the Titleist employees. Titleist has programs in place to discourage their employees from having unhealthy lifestyles. There seems to be a family like comradery between workers. Management seems genuinely concerned with their workers well being from a personal standpoint, which indirectly provides financial benefits for the company. The employees benefit from the convenience of fitness centers and chiropractors at the facility. The plant tours showed me more of the science that goes into making a ball, than I would have ever thought possible. 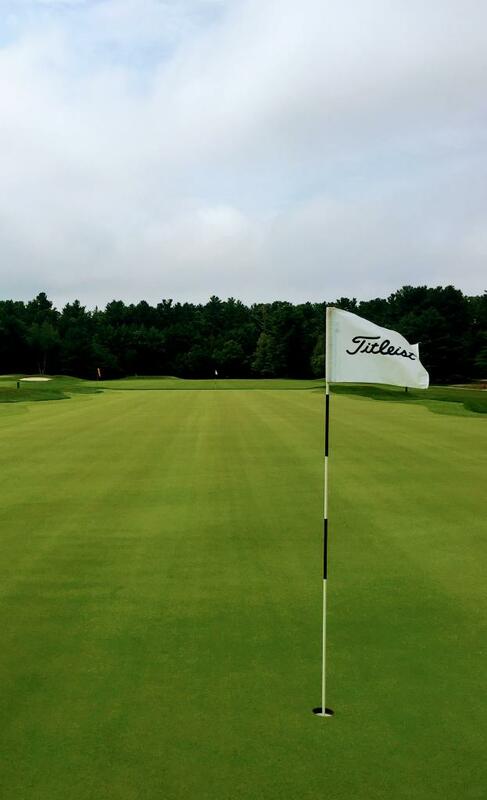 If Titleist routinely offered tours of their plants, I'm sure that golfers would make the pilgrimage to their plant. I doubt it will ever happen due to the distractions it causes to the workers, the lack of space for that many extra people on the work floor, and also due to the proprietary information that Titleist would prefer to keep private. The professional ball fitters that worked with us, are the same people who go out on the road to do ball fittings. These are fairly readily available, and I would urge anyone to participate if given the opportunity. The measurement of a few half swing wedge shots, mid iron swings, and driver swings provide the fitters with the information needed to recommend a ball. For me, the ProV1X would be the most beneficial across the board in all three types of swings. I think that the majority of our group was fitted into the Pro V1. After having been to golf ball nirvana and drank the Kool-Aid, I have bought enough ProV1x's to last the rest of the season. With a 12.5 index will it make a huge difference in my scores, probably not. I do expect my index to drop a point or two just from playing the same ball ALL of the time. I won't be using my supply of new balls, when tee shots are sinking underground in wet fairways and rough, But, I will used some older Pro V's or X's that I have left over from the last couple years. Starting tomorrow. I will be playing X's. 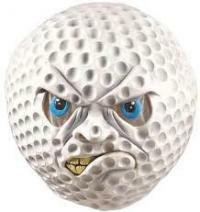 Up until now I would often switch from a urethane ball to a distance 2 piece ball and back and forth during a round. The switching made chipping and pitching a bit more inconsistent. Great reading and congrats on an amazing experience! thanks for all of the updates on the tour of the plant. with all of the talk of how much dimples affect the ball it makes me feel better that I will take a ball out of play, maybe more than most would. 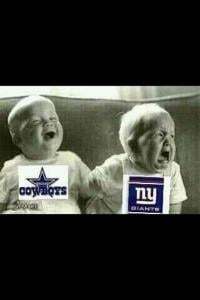 Great Trip Boys!!! Enjoy the fruits of your testing later!! Really it's not different than any other industry. 90% of all sunglasses are made at the same factory globally just as an example. TV's also are mass produced under different names at the same location. Basically it just means Titlleist has not outsourced their ball manufacturing yet. What the engineers do with layers and dimple patterns make each ball have different characteristics. On a side note, doesn't Bridgestone have their own ball making facility as well? That deep orange bag is outstanding....what is that? It's a Scotty cameron orange stand bag. Everyday gamer. I've never had a bag be the subject of so many questions. It is pretty cool. So I decided that it was going to be my everyday bag. No need to keep it locked in my basement. Tools not jewels. Also, I asked about the Kirkland. Yeah, the big elephant in the room. And while it was rumored that it was a Pro V1 with different logo it's actually made up of 2 layers of the TM ball and 2 layers of another ball. They had a room full of literally every ball known. They've spent over $68,000 in buying competitors balls and $35,000 in buying their own ball. So instead of taking balls from their plants, they buy them from stores just like the competitors. Then they slice them open and do research. From that info theycan tell you what factory it was made from etc. it's pretty amazing. Also, those small letters on the balls helps them indentify what ball it is just in case something happens before it's imprinted with the logo. Only 3 companies make their own balls. Titleist , Bridgestone and Srixon. So to answer your question, yes. Very cool trip you guys took, I think we all are envious. I've enjoyed reading each of your experiences. Looking forward to more insights! After meeting everyone and having breakfast we boarded the bus and headed to Titleist R & D. (I wasn't able to go out the night before as some perfectly timed road construction turned my 3.5 hour drive into a 5.5 hour drive). 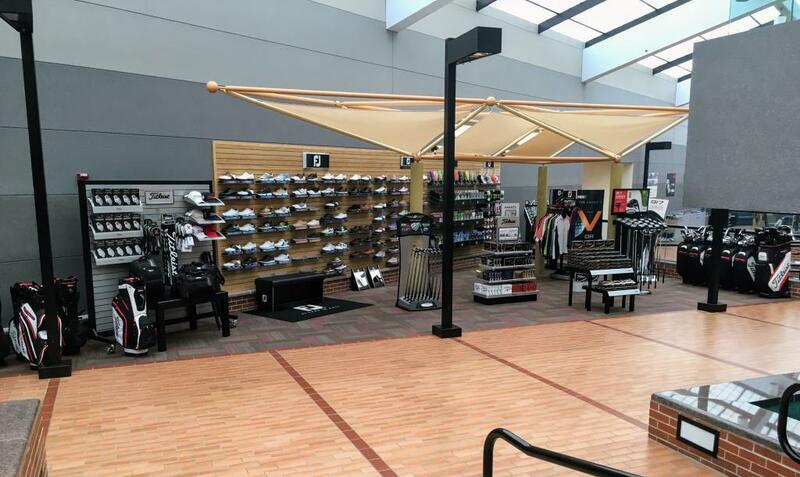 When you walk in, you are basically greeted with a pro shop amount of Titleist/Footjoy goods in the lobby. [url=&quot; boxes[/url]. 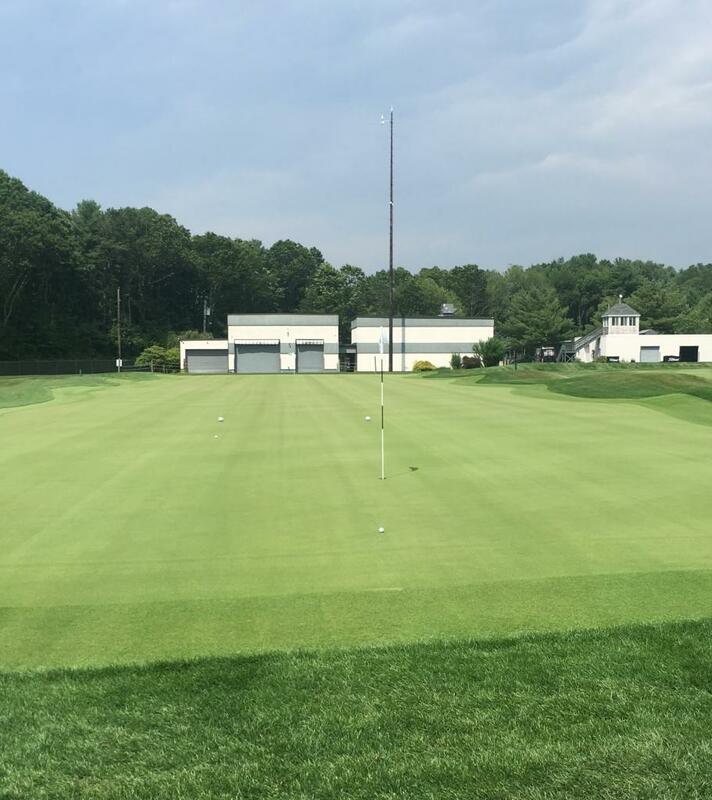 We then arrived at Manchester Lane, a state of the art test facility that was as well groomed as any country club, with a 90 yard long dead flat putting green, a pristine practice tee, a terrific short game area, and a few short practice holes. 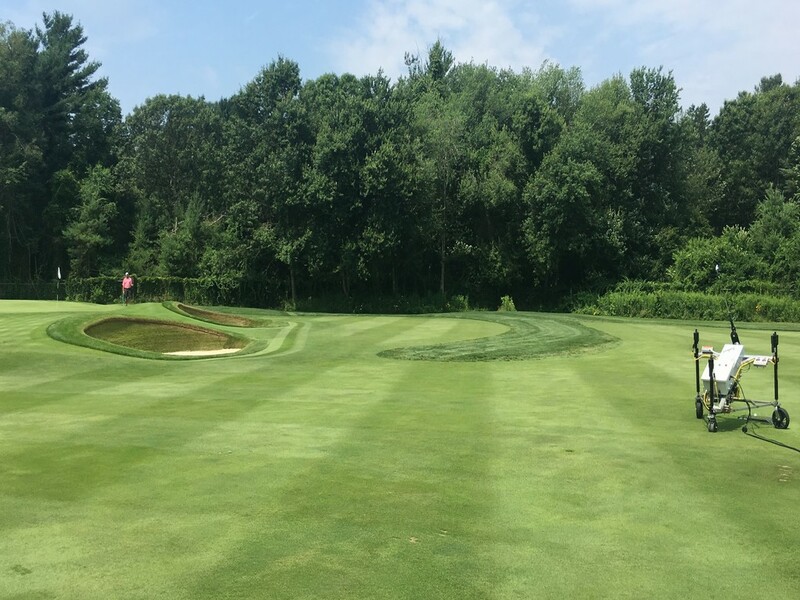 When we arrived, we walked first to the short game area where Spider, the short game robot was testing. After this, we went off to ball plant III to see how the mass production is carried out. All I can say is impressive. We basically followed the path of a ball through the plant. 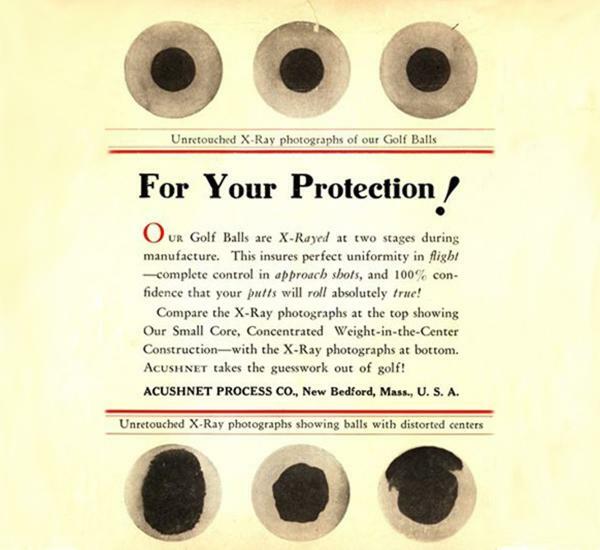 It started where the rubber is mixed with chemicals, heated, cooled, and pressed into cores, molded into round cores, electrocuted, covered, painted, printed, prepped, and finally urethane placed on the ball. It takes them about 5 days for a ball to be made from beginning to end and they produce several hundred thousand balls each day. Globally, they produce around 26 million dozen balls (thats 312,000,000 balls per year). That night we had drinks and ate some very very fresh seafood, accompanied by a lot of laughs and stories. 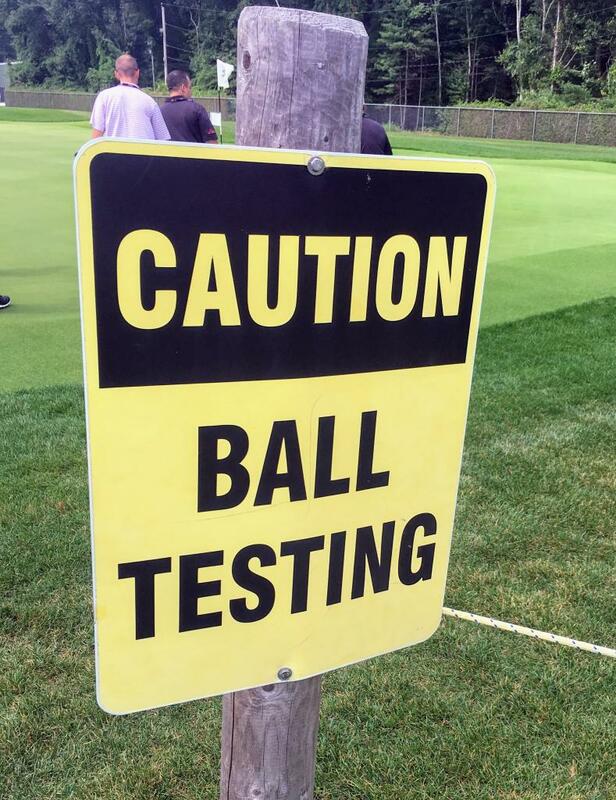 On day two, we made our way to the Titleist custom ball facility. This is where all personalized balls are made. I didn’t realize how much else was made there as well. They make custom boxes, sleeves, tins, and many other items to hold balls. Again, here as with Ball Plant III, I didn’t realize what goes into this side of the operation either. I blindly assumed when they customize balls, a computer just shoots ink on a ball like an inkjet printer. nope. Each customized line of text is engraved into a plate which is used for that customization. ink is drawn across the plate and eventually pushed into a stamp which then stops the ball. 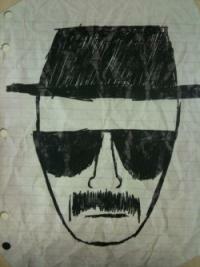 I know now, having seen it, that it makes sense, but having no knowledge before hand, it really blew my mind. They also gave us some very sweet shag bags with hats, balls, ball markers, gloves, and a shirt. They really were very generous to a couple of guys already in heaven. We then drove ourselves to Warwick Country Club for a very nice lunch and round of golf. After Lunch, we paired up and went out. I played with Jay (golf9596) and Eric from Titleist. Other than putting, I hit the ball great with a ProV1. The Course is quite beautiful, built on a bay and with many scenic views. It is also the location where many shots in some of Titleist’s [url=&quot; are located. So cool. Thanks for the updates! For me at least, easily it was the R&D portion of the trip. I know alot of research and testing goes into making, and perfecting products by OEM's but (I know I've used this phrase many times already and will in my day 2 review but....) it was seriously mind blowing and mind numbing (in a good way). Just everything about it....mind blowing....the details and everything. I'm not talking dimple patterns, or # of dimples and depth, but small things like degree angles of the edge of dimples varying at 3/1000th of and inch, 1/3 the width of a human hair having huge crazy effects on drag, performance, ect. Honestly the R&D was so cool I'd actually easily pay to do it that part all over again. 17 balls that were the exact same, most of them are the small companies popping up basically ordering from the same ball plant. Only 1 or 2 were maybe larger name companies. Basically they have in house every ball currently on the market world wide, and broke each ball down to find it's material make up, and how they're made material wise, and in some cases knowing what plant a certain make ball came from, even being the same model. I'm sure it's something most OEM's do with all products but it was neat to hear him talk about it all. Ok finally able to write my day 2 review. I've been working nonstop since I left Warwick CC. So day 2 was just as fun as day 1 (minus the rain). We started with breakfast and then went and saw the 9 holes of the customization shop. Basically we saw the 9 different stops of the customization of golf balls (each stop having a numbered flag at each stop). 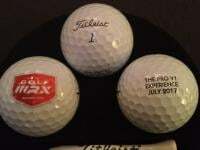 I knew you could get custom numbered balls, text and images like Team Titleist, sports teams ect. But also real life images, and custom packaging for events, gifts, tournaments and everything else you can imagine. It seems like the options are endless. After that we drove the hour to Warwick C.C. 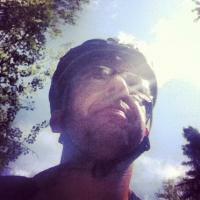 (thanks for the ride Joey2Aces!) Where we met Veronica once again and had a quick lunch in the clubhouse before hitting up the range, and quick 18, which unfortunately it was cut short by weather. If you do ever get a chance to go to Warwick definitely give it a go. 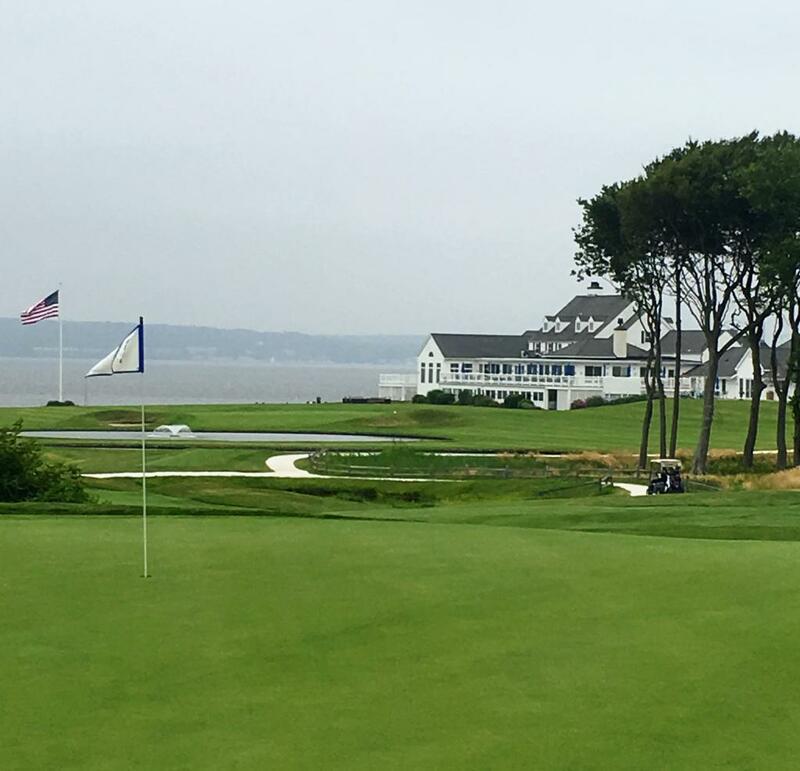 It's a beautiful course on the water, and where Titleist has shot a few commercials. Once again the weather rolled in and it cut the round short, but still had a great time playing with Joey2Aces and Mike(?, can't remember his name unfortunately, but a super nice guy who runs Team Titleist forum). All in all I personally had a great time. 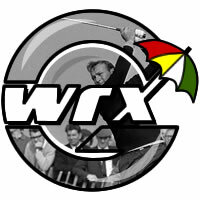 It was cool to meet a great group of WRX'ers, and Titleist did everything top notch and showed us a great time. I just hope to be able to do it again some day. Thanks so much to WRX, the guys I went with, Titleist, and all the Titleist crew who were so hospitable to us, and Rob for showing us a great time after the golf activities of the day ended. It truly was an awesome, awesome experience. Lastly anyone know how to resize pics that are to large, or willing to let me send them to them to post for me? That's right I forgot. The buy them them from stores to have the same shelf life (really bad way of explaining it), so it's the the exact same as a consumer would get when buying. Are you aloud to disclose what those balls were? Any comments on the differences between the two pro Vs? Lot of confusion this year with supposedly switching the characteristics. Does one ball do the same thing for a large majority of people, I.e. 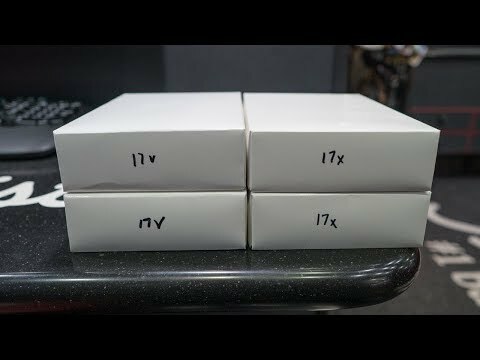 if the pro V spins more than the X does it do so for everyone? Any more comments from the ball fitting? For how much time I've spent dialing in clubs, I tend to just grab the pro v1x and go without doing much testing. Basically the prov1 was rolled back to reduce the spin. The provx is similar to the prior generation provx. So the net effect is the x now is a ball with bit more spin and higher launch, and the v is lower launch and moderately lower spin. So they didn't switch the formulas or anything but the net effect is the balls did "switch." I would have never previously considered a prov because I am high spin. That is now my ball. I used to grab the x for slightly lower spin and sacrificed the higher launch, now the v seems the perfect blend for a high spin high launch player. What longballjs said is correct. as I used to be given the X version because I swung fast with the driver. Now seeing the data and the flight of the golf ball I am also now a Pro V1 user and no longer an Pro V1X.